At Blue Pheasant, they know that everyone's favorite room is the kitchen -- which is why they put careful thought and exquisite craftsmanship into everything they do, from thei handmade dinnerware to flatware, and from glassware to placemats, accents, and linens. 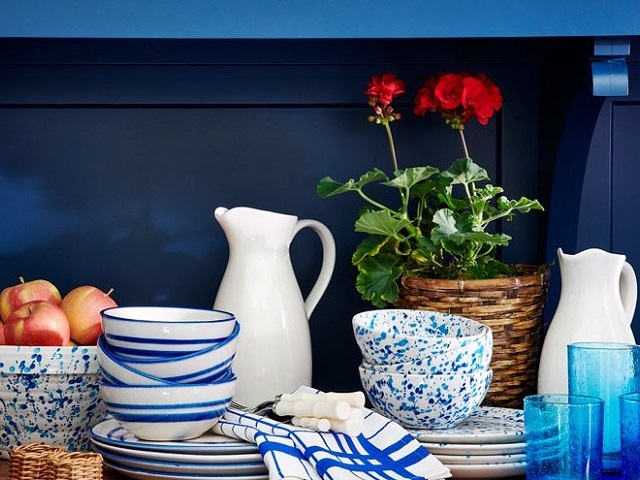 From centuries-old techniques that inspire vintage-themed tablescapes to their new modern pieces that can star in your most sleek and chic displays, Blue Pheasant is your go-to destination. Each piece, is made to be mixed and matched -- patterns on patterns, color on color, unexpected pieces that fall perfectly into place, time and time again. But these collections are much more than looks. They've spent years researching dish and glassware, experimenting until we created the ideal weights, shapes, sizes, and proportions. These pieces are functional; items that feel as good as they look, and that look good any which way you pair them. The perfect meal isn't effortless, but it should be worth every ounce of work you put into it and then some; they've created Blue Pheasant to help make sure it is.